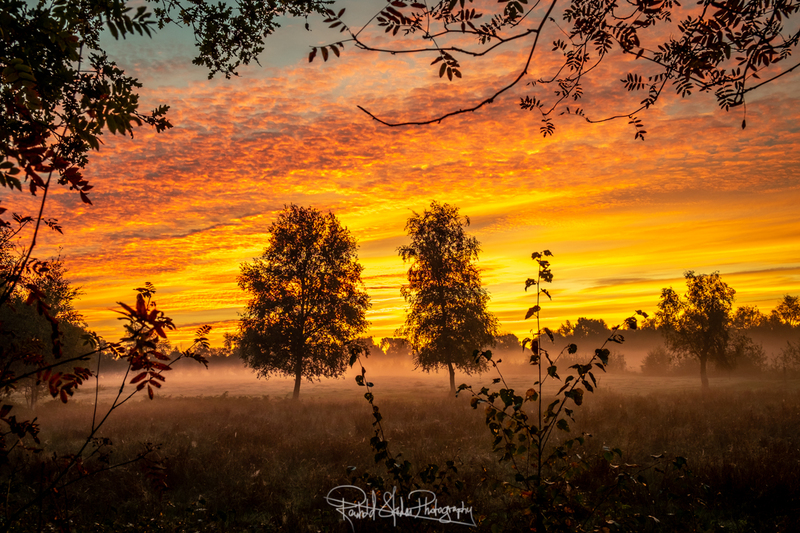 Sunrise in my local moor. Moorland. Fintlandsmoor. A magic piece of landscape just round the corner. I had two choices. Capture thick fog with minimal light or wait for the light which lightens the fog as well. I like dark and moody images but this time I decided to wait for the light, the colors in the sky. I’d day waiting for the light was a good choice. Just beautiful!